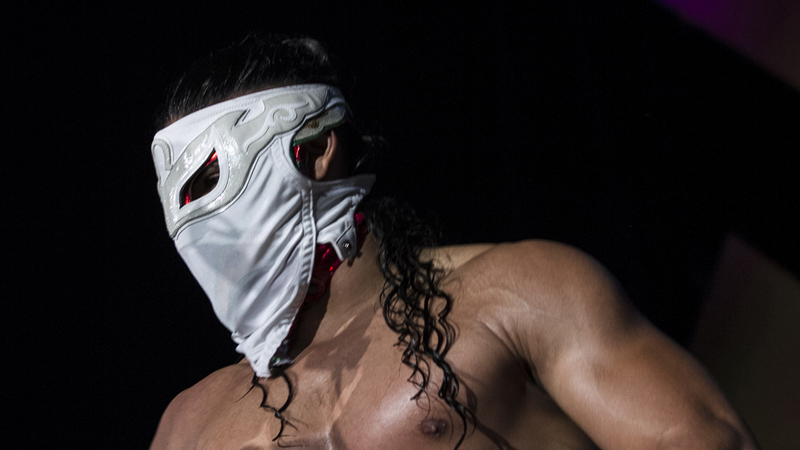 Wrestlezone contributor Angel Garcia recently had the opportunity to speak with recent Ring Of Honor signee and international Lucha Libre star Bandido during one of his last independent appearances. WZ: Bandido, how are you? B: I’m good, thank you for this opportunity to reach all of your followers as well as mine. WZ: You’ve had an amazing and impactful 2018, could you tell us a little bit about your year and reflect on it a bit? B: They are all blessings when someone does things right, and they give it their all, only good things come. It has been a year of changes, gratifying things, and I’m grateful that the American fans have taken me in as one of their favorites. WZ: I’m glad you mentioned American fans, let’s talk about the reaction you had at the largest independent event in wrestling, ALL IN, what was the feeling like when you walked out and got the reaction you did, 10,000 plus people in the Sears Center? B: Nerves mostly, hoping I do everything right, and taking in the crowd, thank God, the crowd is good to me, specifically the crowd here in Chicago, has embraced me and I’m extremely grateful to them, I love coming here, AAW, the event in the Sears Center, I love the Chicago crowd. WZ: Recent news that came to us about you, you have signed with Ring of Honor. If you could talk to us about how that came about, what lead to that decision? I haven’t acted irrationally, because all I’ve had has been blessings. At the same time, I’ve also not thought with my head, because if that was the case, I would probably be in the largest company in the world, not to name, names. But I’ve always made decisions with my heart, choosing to act in terms of what will fulfill me, compliment me and overall make me happy and continue having fun. I think this was a giant step in my career, and I’m so excited about signing with ROH. WZ: Seems like the right decision, what’s the point in working so hard if you can’t have fun and be happy? B: Exactly, it was an important moment, and a difficult decision, being in my shoes at the time was very challenging, I am very happy with ROH, and I’m looking forward to my debut and winning the fans over at ROH. WZ: Let’s talk about your mask, one of the coolest masks I’ve ever seen, can you tell us about how the mask design came, as well as the character, did your instructor Ultimo Guerrero inspire it? B: The character of Bandido, actually came to me from Liga Elite, they gave me that gimmick, at first, I didn’t like it, but over time I came to love it. I designed my mask, and my mask maker, Alan Reyes, he is the one that helped me perfect the mask, basing it on the design of Hayabusa. He had a unique mask compared to everyone else. I styled the Bandido mask with that in mind. WZ: Thank you for your time, any last words for your fans? B: I am so grateful for you all, thanks for all the love and passion you’ve given me. I’m looking to seeing you all and remember: The Most Wanted, tendido como Bandido.